Hello everyone, how are you all? I’ll be honest, I’m still feeling bruised from the results of Britain’s EU Referendum. I’ve seen a lot of people complaining that their social media timelines are filled with political tweets/statuses and claiming that we all need to shut up about it, and while I can appreciate that we need to get on with things, I also think that it’s wonderful so many people care. If you follow me on Twitter then you may have already noticed me retweeting fellow Remain supporters a lot on Friday. I was heartbroken to see that so many people were feeling as shocked, scared, and sad as I was, so big love to you all. That has nothing to do with today’s post, which is about one of my favourite things (cruelty-free skincare) but I couldn’t let it slide by without comment; it’s too huge. Anyway. To the good stuff! I’ve championed Superdrug‘s own brand products for a while now and I’m always looking for new things of theirs to try. The Vitamin E range is a particular favourite but since I’ve mainly stuck with the moisturisers (for both face and body) I thought it was time I branched out a bit. I admit, a cleanser and a balm aren’t exactly adventurous but these particular products are new to me, and that was good enough. 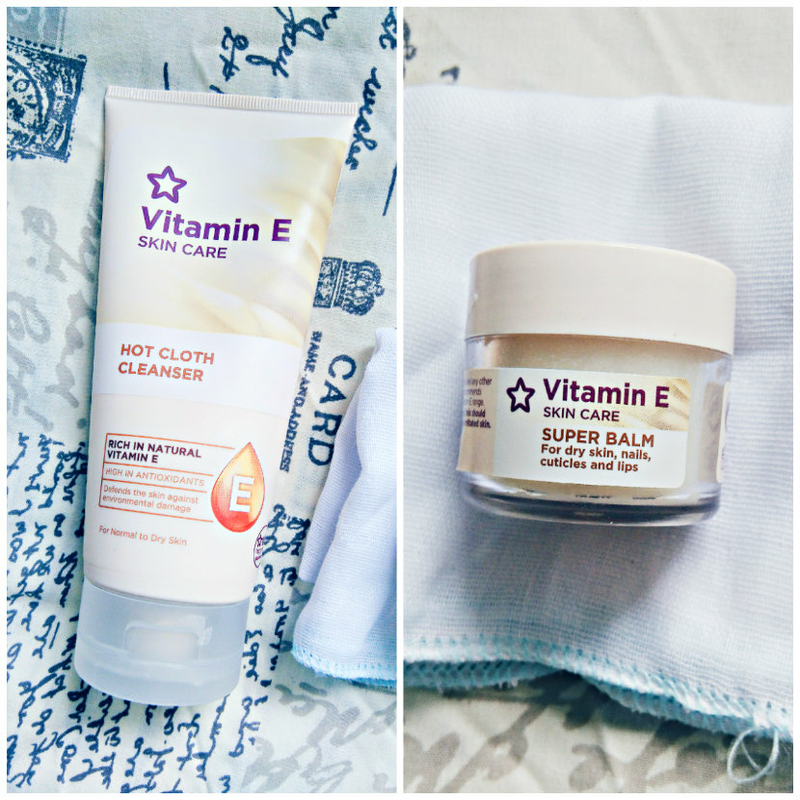 I’ve heard many a good thing about the Superdrug Vitamin E Hot Cloth Cleanser, said to be a dupe for the cult classic Liz Earle Cleanse and Polish. And while I don’t love it quite as much as I love C&P, the Hot Cloth Cleanser is certainly a good high street substitute. It removes make-up reasonably well, has that creamy texture that feels so comforting on the skin, and is gentle and and softening to boot. A thick balm that melts on contact with skin and is super-hydrating on lips. I also like to use it on my cuticles when I can be bothered, and on the dry, flaky skin I get on my elbows and knees. The skin on my hands also gets really sore so I use it to soothe any flare-ups on my knuckles and in between my thumb and finger, and so far it’s worked a treat. My one complaint is that the balm has the odd solid lump in and these don’t melt so easily, but they’re easy enough to avoid because you can see them in the pot. 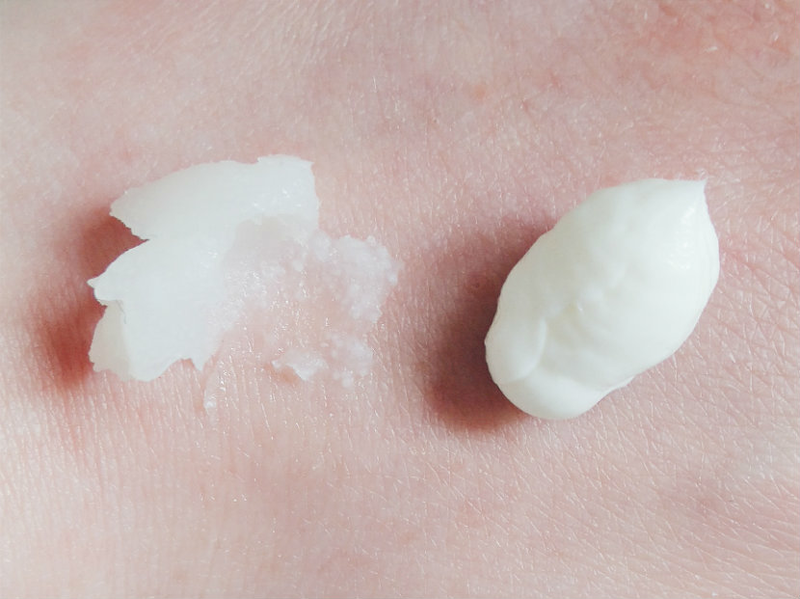 I’d still prefer something smoother but Super Balm is a product I’m more than happy to use. Another lovely experience with Superdrug — I’m already thinking about what to try next! At the moment I’ve got my eyes on the In Shower Moisturiser and Dual Phase Cleansing Oil (I do love a good face oil). Have you tried either of these? What’s your favourite product from the Vitamin E range? Let me know in the comments!